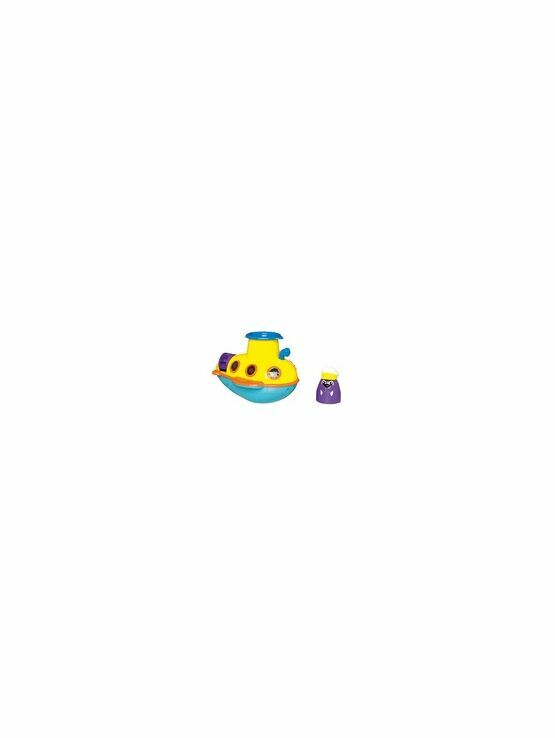 A great bath toy, this See Under the Sea Submarine will make bath time even more fun. Make the submarine dive into the water and view under the water's surface through the periscope.Press the launcher and Captain Walrus dives into the water with a splash. Pour water over the propeller to see how fast it spins, whilst peeping through the porthole to look at colourful fish magically swimming in the bottom. 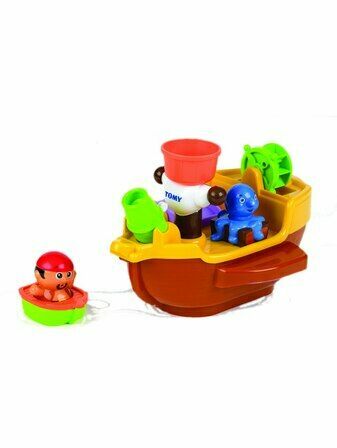 With 6 different nautical sounds played when the periscope is pressed, this toy will make bath time so exciting. 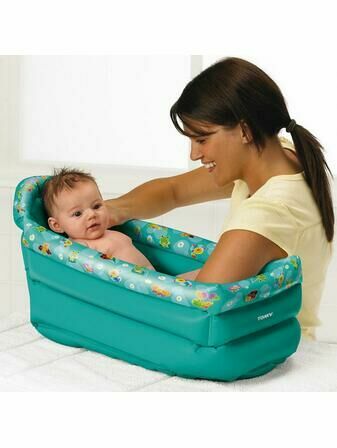 The pelican bath tidy is a great product. So pleased with it. It fits on our bath perfectly (even though I could see how it could be a bit lose on some tubs that are thinner, plus it might not work on a roll top or very curved bath?) 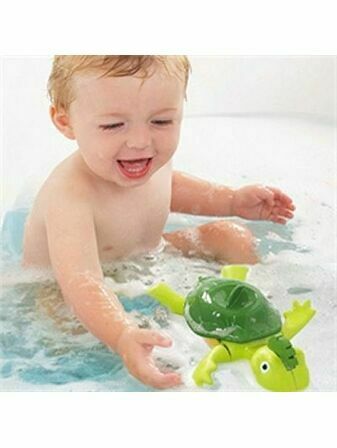 My son finds it really fun to get the toys in and out, it is the highlight of bathtime! It keeps everything out the way, plus you know it won’t fall down as it doesn't use the suckers like other similar products. It’s a fun quirky addition to the bathroom that is also functional, would recommend. 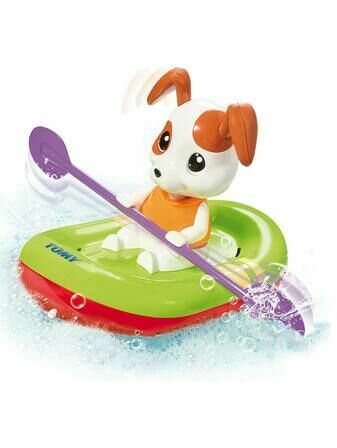 Ordered this toy for my friends little boy for Christmas i love it! He loves bath time so it's just perfect! Good quality plastic and robust net. It keeps all my son's toys nice and tidy; such an improvement from before when we used a poor quality net with suction cups. My son also loves taking out the toys and putting them away at the end of his bath. I did read a review saying that the attachment for the side of the bath is quite wide for UK baths, but luckily it fitted ours fine on the narrowest setting. I would definitely recommend this to a friend. 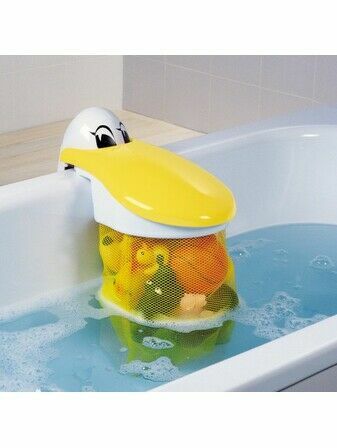 I bought this as I kept getting fed up of our net bag falling off of the wall, the pouch itself is spacious and fits a lot of bath toys in it, plus my daughter loves the fact that it is shaped like a bird! However, I cant imagine this fitting some UK baths, the side of the bath needs to be at least 7.5cm thick and the clamp just doesnt go small enough to fit ours ( a problem we have resolved by clamping a rolled up flannel in it to make the side bigger, which works great), the only other downside is that the pouch itself is large and takes up a lot of room. 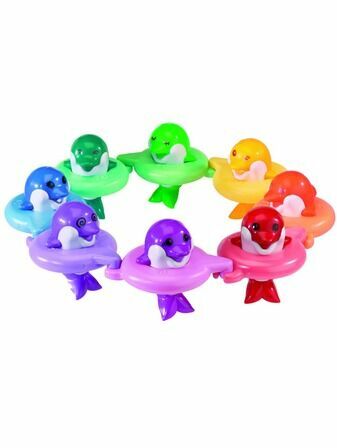 Overall I would reccommend this item as its fun, functional and fab for storing all those loose bath toys! 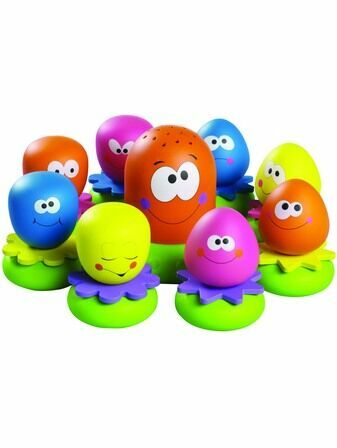 This product is great, I now have the surfaces in my bathroom clear of toys and my little girl loves putting the toys away at the end of bathtime! 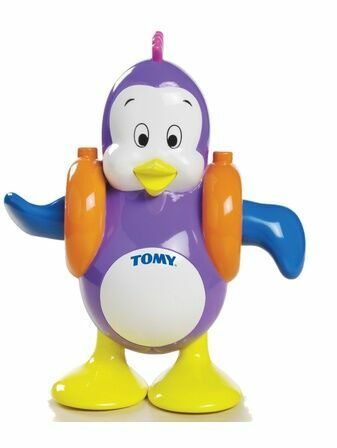 It is good quality and very sturdy. I would definitely recommend it!